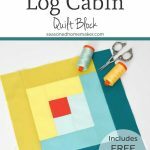 The Log Cabin Quilt Block is one of those perfect blocks. Once mastered, you can stop there because it is almost impossible to run out of ways to make unique log cabin quilts. 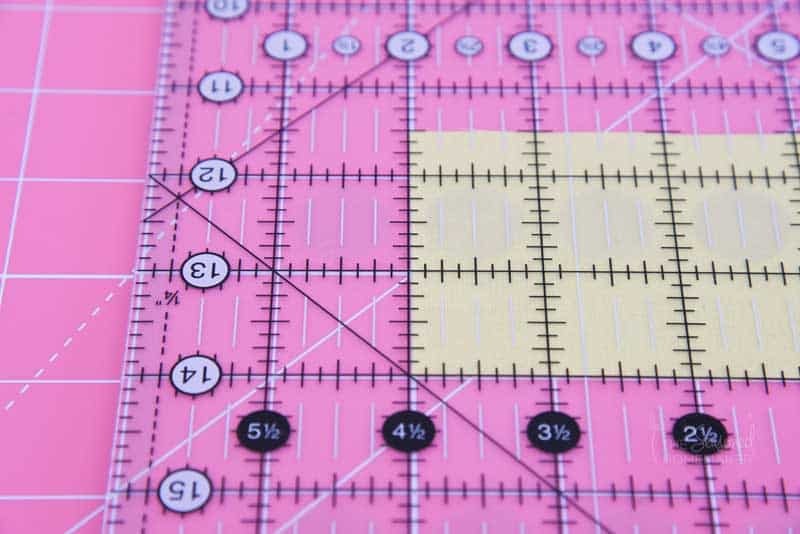 It’s ideal for strip piecing and perfectly suited for using up scraps. Like so many other quilt blocks, the Log Cabin Quilt Block became popular in the 1860s during the Civil War. The blocks popularity may have been connected to Abraham Lincoln because of his pioneer history and the American values of the era. Traditional Log Cabin blocks would have lighter fabrics on one side and darker fabrics on the other. They would begin with a center square. If the center fabric was red it symbolized the hearth of the home. If the center was yellow it symbolized a light in the window for welcoming visitors. Folklore says that if a log cabin quilt with a black center was hanging on a clothesline the home would be a stop on the Underground Railroad. Knowing the history of the Log Cabin Quilt Block connects it back to the story of our nation. When we make quilts today using this pattern, we are then able to insert ourselves into that story. 2 ½” Fabric strips in several colors – I’m using teals and yellows with a red for the center. I’m also using five 10″ squares and piecing my strips because it’s a great way to use up fabric and it will never really show in a quilt. You will want to cut your fabric strips on the length of grain because this adds stability to your block and keeps it from stretching out and causing puckers. Add a thread’s width to the measurements when rotary cutting. The way to do this is by first cutting a clean edge with your rotary cutter and ruler. Then put the placement line of the ruler just outside the clean edge. This will insure you’ve allowed for a thread’s width and will keep the block correctly sized. There are a couple of strip cutting methods for a Log Cabin Quilt Block. 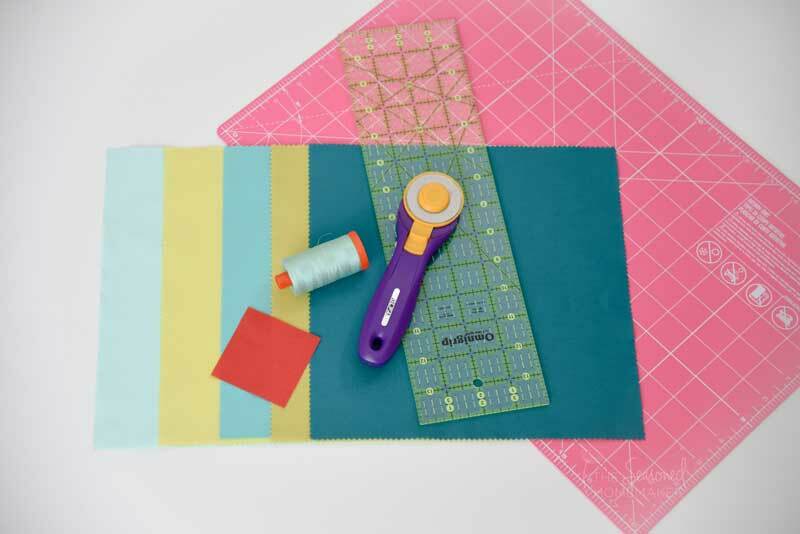 For the sake of this tutorial, I’m showing you exact measurements, but I recommend adding a little extra length to your strips when cutting them. Once attached, trim away the excess after adding each strip to the block. 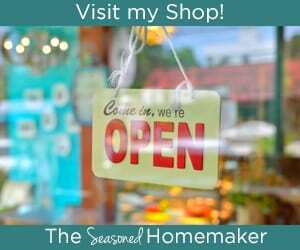 If you’re using something like a jelly roll of fabric, you would want to use the second method which I call the add-and-trim method. This would be the most practical way to attach longer strips. Instead of trimming the fabric strips into (near) exact sizes, you would simply add a new strip to the block and trim away the excess. If using the second method, one thing to watch for is over-trimming and accidentally shaving off too much. This is really easy to do and can throw off your block size (and possibly make you curse like a sailor). Note: On my quilt block I stopped here because I wanted a 12 ½” block. 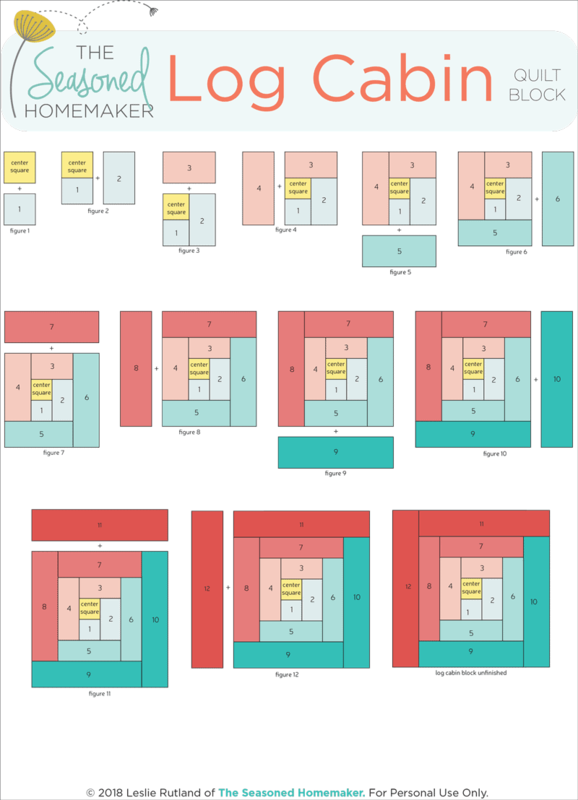 I’ve put all of the assembly diagrams into a one-page FREE downloadable PDF. Follow the directions below and it will be sent directly to your inbox. Note: Current Subscribers can re-enter their names but won’t be double subscribed. 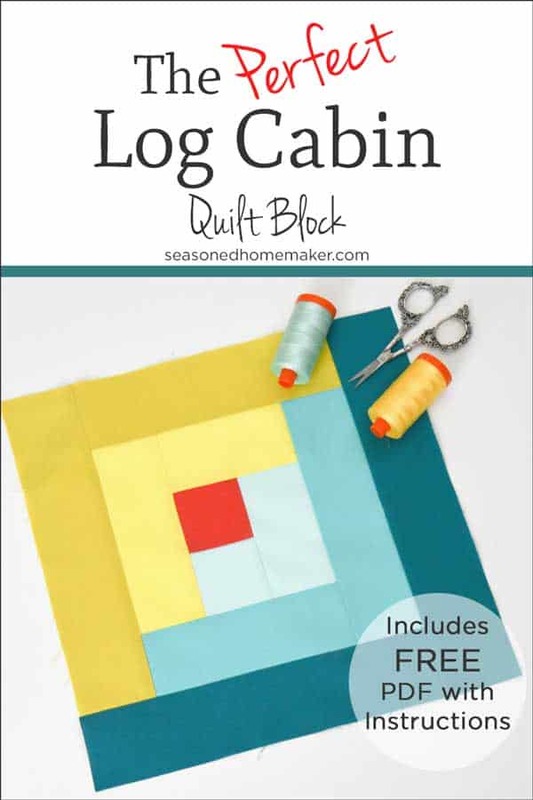 PLUS, I'll send you a downloadable PDF of the Log Cabin Quilt Block. Using the assembly diagram below lay out your logs on the table next to your machine. This will help you to keep the pieces in order. Place the Center Square and (Piece 1) Right Sides Together (RST) and sew a ¼” seam along one side. Press to set seam and press seam allowance away from the center. Working counter-clockwise select (Piece 2) and place it RST according to diagram in Figure 2; note placement. Repeat the above steps. Continue in this manner, adding logs in the order outlined in the diagram. Note that a new log always covers the end of the last log added. 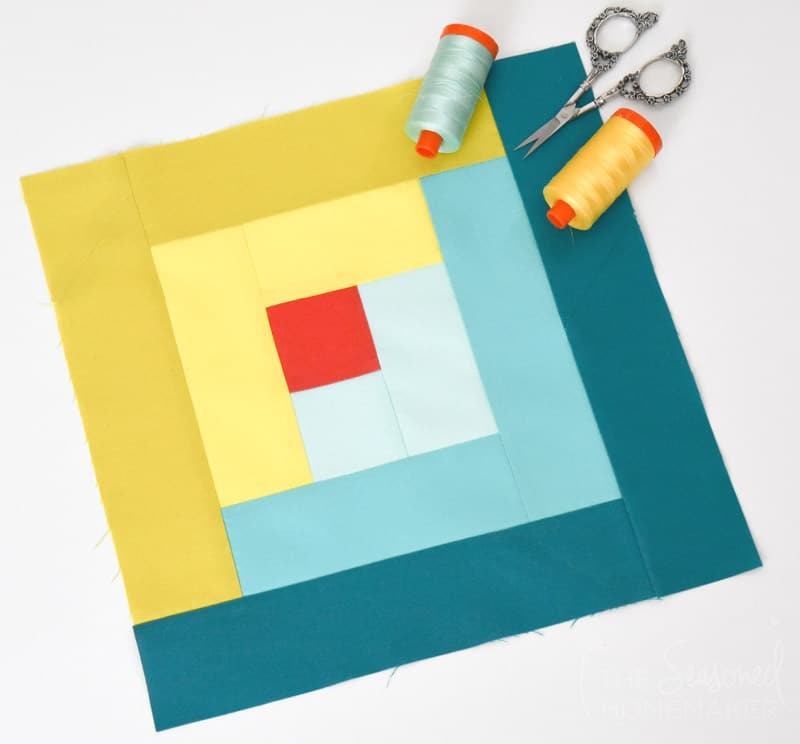 Square your block to 12 ½” (or 14 ½” if adding Pieces 11 and 12). 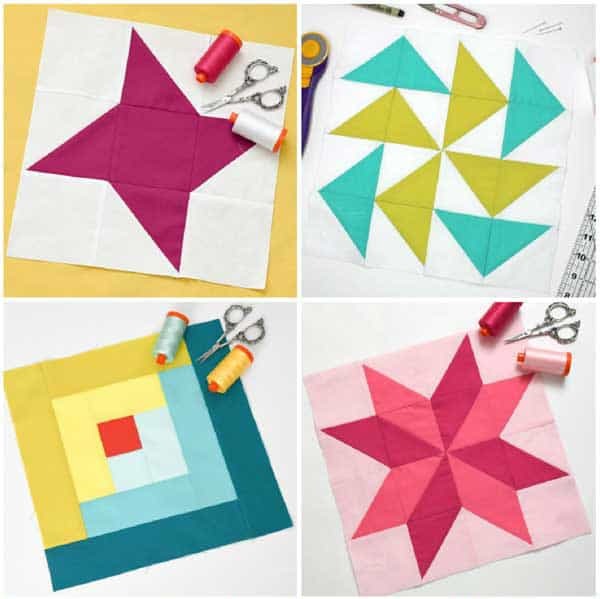 The Log Cabin Quilt Block is one that you will want to add to your block stable. It’s infinitely changeable and can be made into a variety of designs. With this design you’re only limited by your imagination and that means the possibilities are endless. Take some scraps and turn them into Log Cabin pot holders. Get an early start on holiday sewing by making a Log Cabin table runner. Because this block is so simple you could easily make a baby quilt in a weekend. Make something personal by appliquéing a design on top of the block. I could literally go on and on with ideas. Instead, I’ve created a Log Cabin Pinterest Board with a few examples of unique quilts made from one simple block. You won’t be disappointed. A special Thank You to my dear friend Sally who shared her excellent written instructions with all of us! Leslie, this is one of my favourite blocks also, it is amazing just how versatile it is!! Thank you!! Many thanks for the offering if this square. Thank you for the Log Cabin Block. It’s my favorite! Love this block and the combination of colors. So awesome. Thanks for sharing such awesome quit block DIY tutorial. Am I correct trim each strip, or could you mean to trim each round of strips?